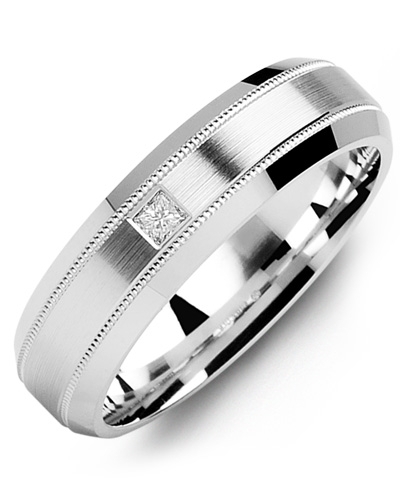 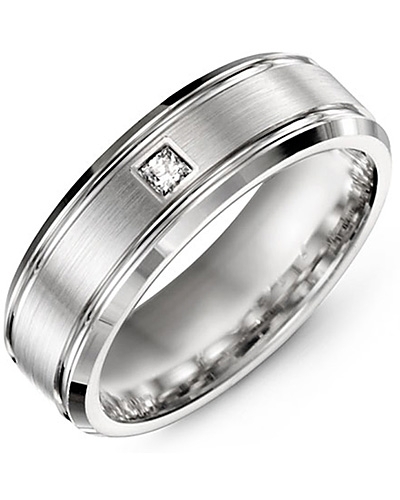 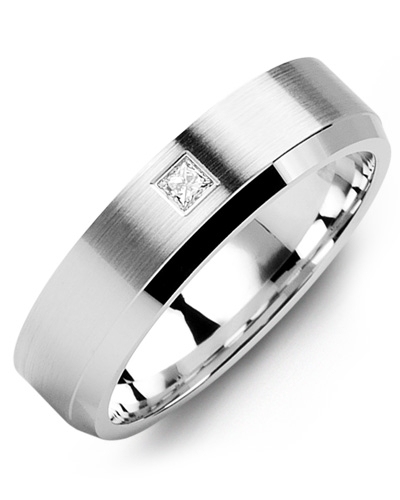 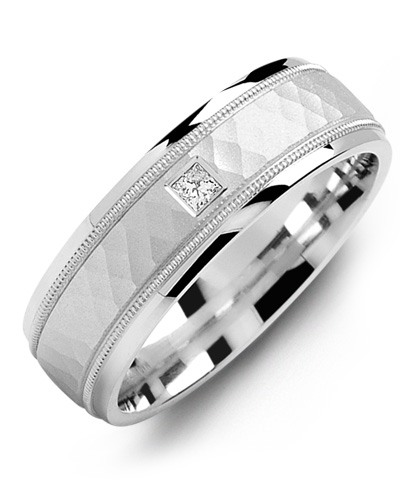 MUB - Brush Center Milgrain Edges Diamond Gold Wedding Band Designed to dazzle on your wedding day, and every day that follows, this Brush Centre Milgrain Edges Diamond Gold Wedding Band is a beautiful piece of jewellery for sophisticated brides and grooms. The brushed gold band features two high polish grooves, Milgrain beading, and a shimmering 0.05ct square princess diamond for added sparkle and shine. 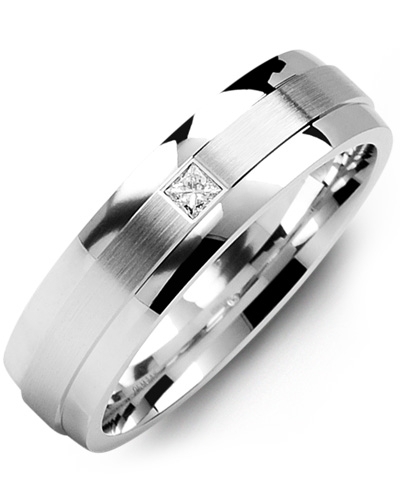 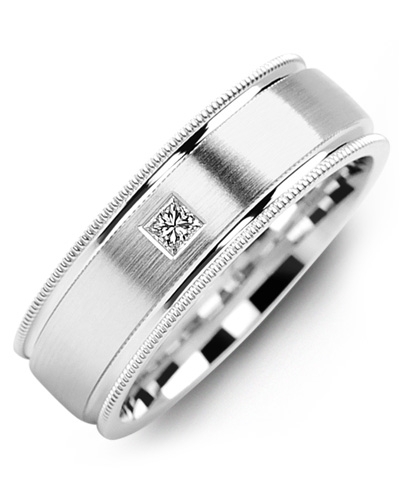 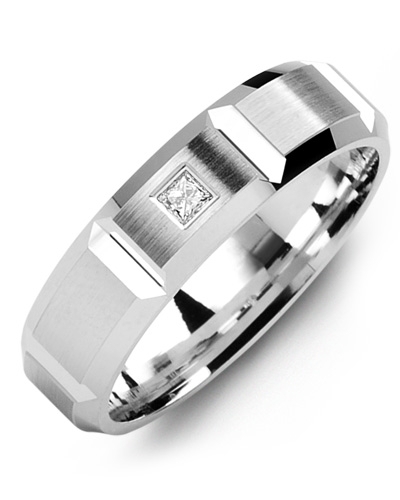 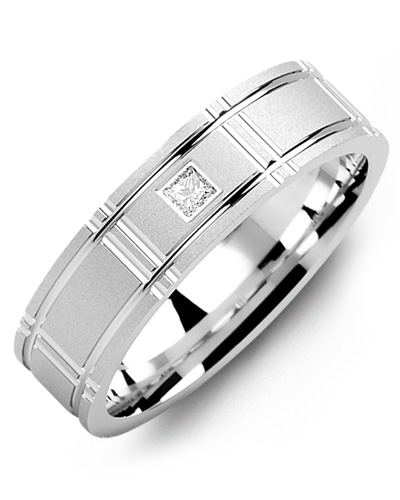 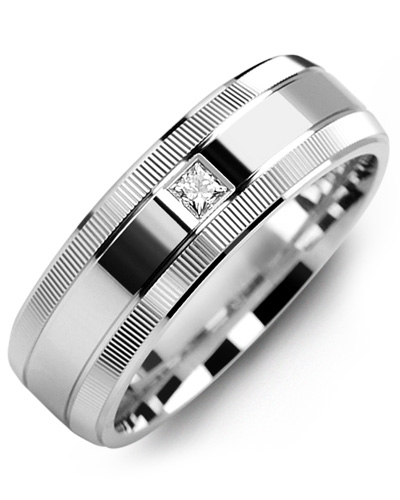 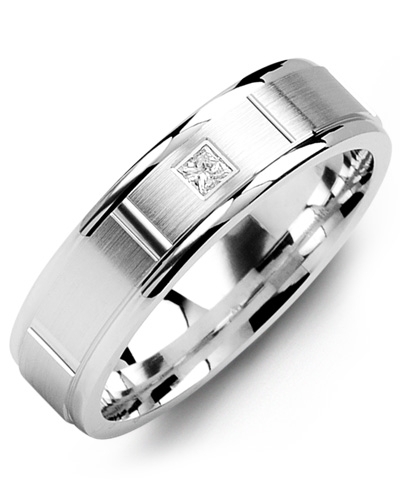 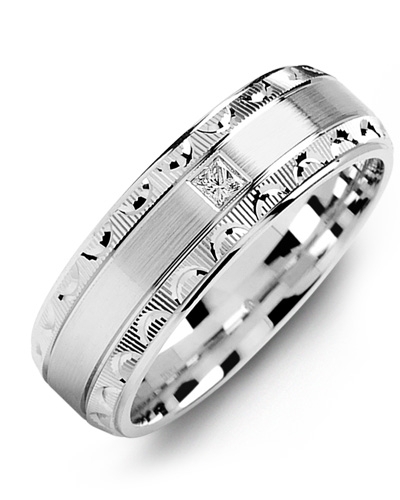 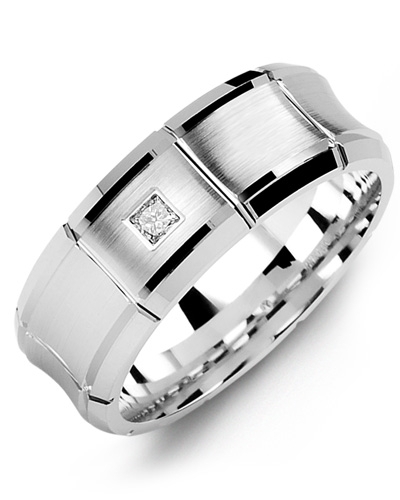 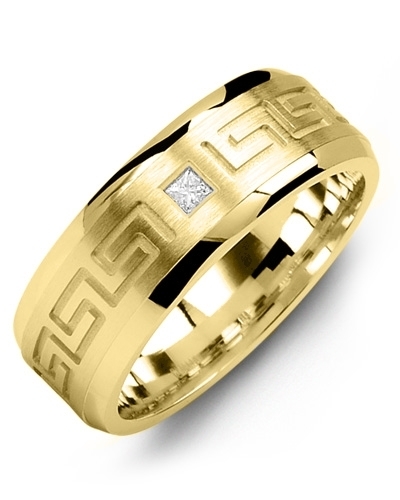 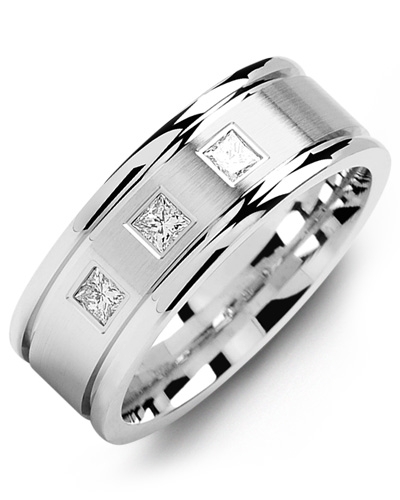 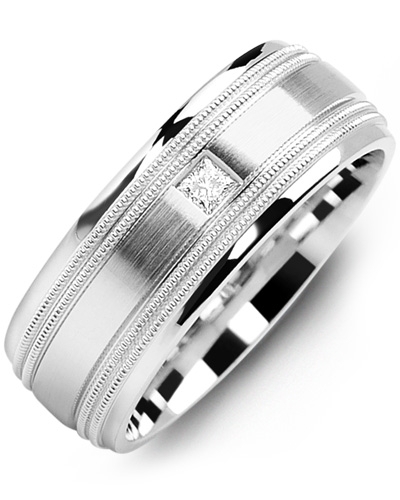 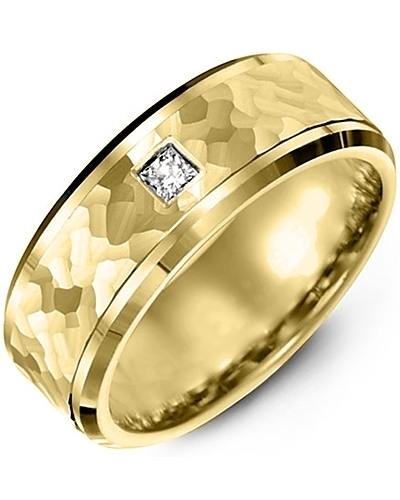 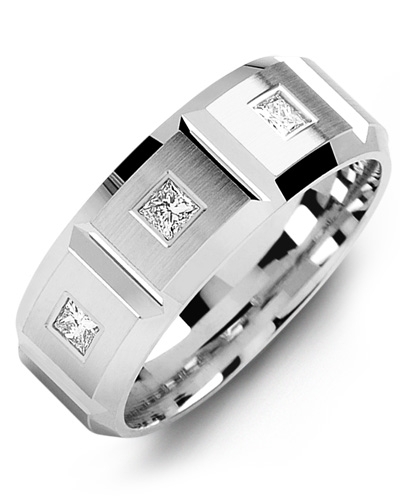 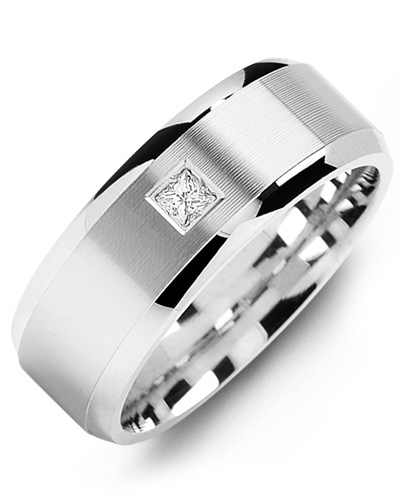 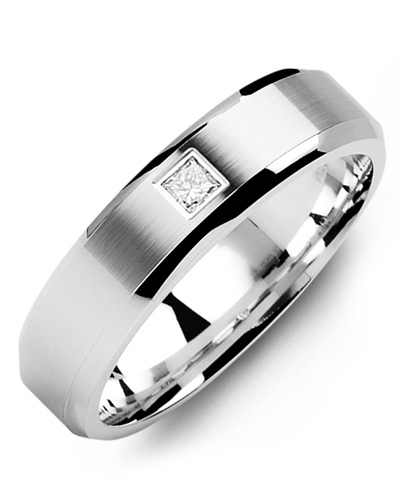 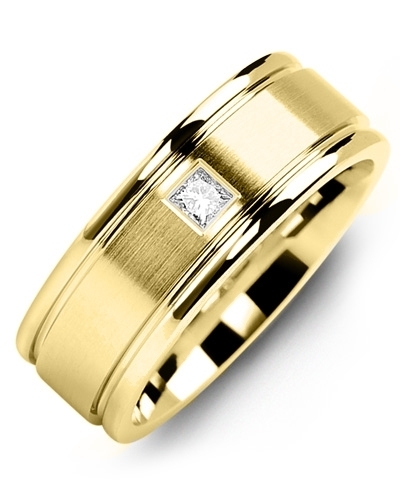 Yellow gold, white gold, and 10kt, 14kt and 18kt options are available. Designed to dazzle on your wedding day, and every day that follows, this Brush Centre Milgrain Edges Diamond Gold Wedding Band is a beautiful piece of jewellery for sophisticated brides and grooms. 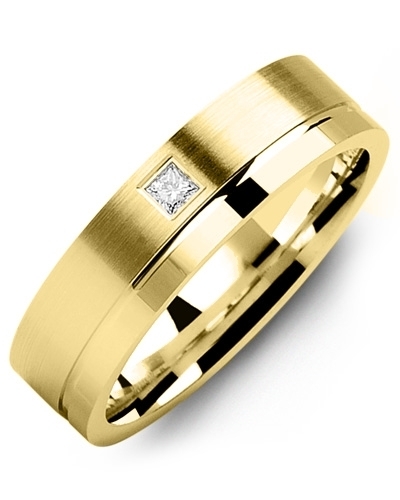 The brushed gold band features two high polish grooves, Milgrain beading, and a shimmering 0.05ct square princess diamond for added sparkle and shine. 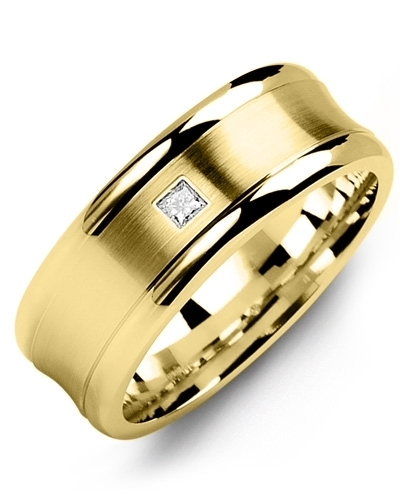 Yellow gold, white gold, and 10kt, 14kt and 18kt options are available.